Our custom printed triangular boxes are a resilient and aesthetically pleasing solution for all your packaging concerns. Our custom printed triangle boxes are bound to give your products a matchless look. A look which is not going to be available anywhere else in the market. This packaging will serve to complement your product along with significantly enhancing its marketing ability. The triangular box style has been used extensively for food products like candy boxes or for cosmetic products such as foundation boxes. With customizable product packaging, you can give your products the professional look and style which is needed to beat out competition in the market. If you are fairly new to the custom packaging industry you don’t have to worry. Our free customer consultation is always available to help you out with your concerns. We also provide free mock-ups of the custom packaging before shipping out the final product anywhere in the USA free of cost. Nowhere else will you be able to achieve first-class custom packaging for the products you are selling at such affordable prices. If you need the best custom printed triangle boxes contact Business Image Printing. At Business Image Printing our custom printed triangle boxes are a durable and aesthetically pleasing solution to pack your products. 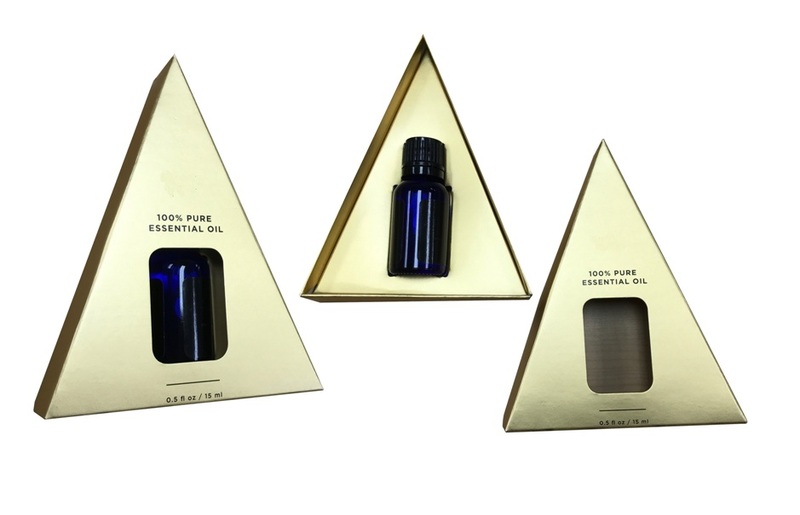 The custom printed triangle boxes would give your product a unique look, which is not popular, that can complement your product and significantly enhance its marketing ability. This will provide you with amazing returns on investment for promotional campaigns. For more details feel free to contact us!